New cafes are popping up in the university area faster than ever before with the only attraction being pocket friendly food. Now as much as we love our food and drinks, we're always looking out for places serving good sheesha as well and we're sure you guys would agree that the existing places serving it would not be upto the mark or a little too heavy on the pocket. 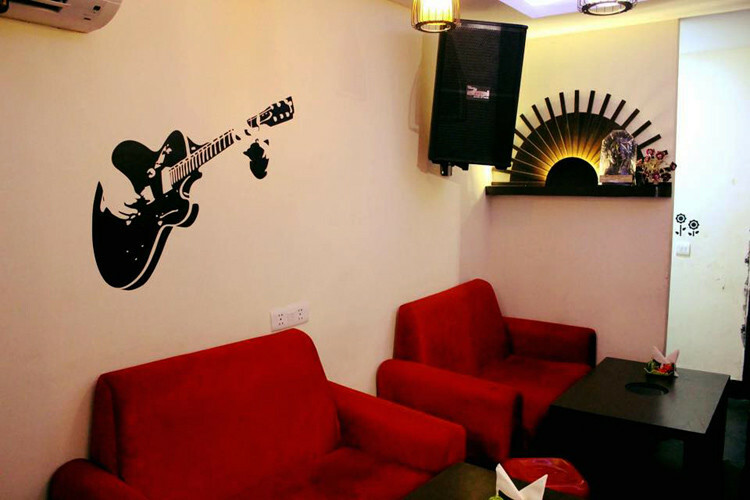 This is where Cafe Bethak in Hudson Lane comes in and is the perfect amalgamation of good food and sheeshas served at pocket friendly prices. The dedication to serve good sheeshas is showcased in the fact that the owner has special tables made with spherical holes in the middle to fit in the sheeshas and this small change makes a huge difference! Also the hookah that's served is not the average teeny tiny one, but a mighty Alzar and that too at just Rs. 499! 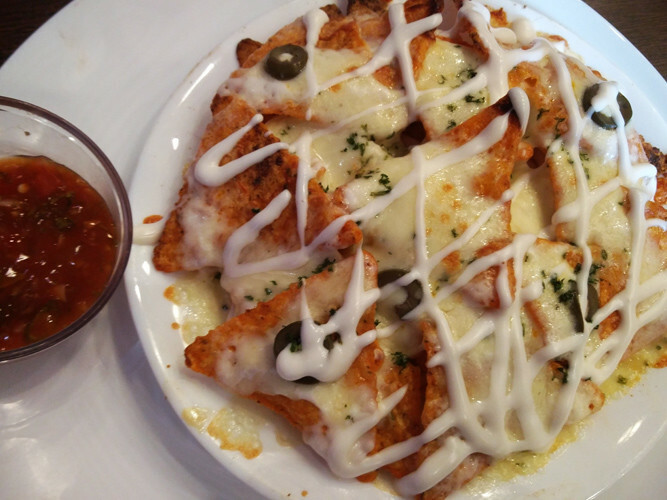 We started by ordering our favourite snack i.e Nachos and the place offers three variants of this particular dish. We went in for their most cheesy one, a plate full of nachos with mozzarella and liquid cheese and olives in it. The name itself was so apt as it was oozing with cheese! Crisp Cheesy Weezy Nachos were served with salsa and made for the perfect starter. 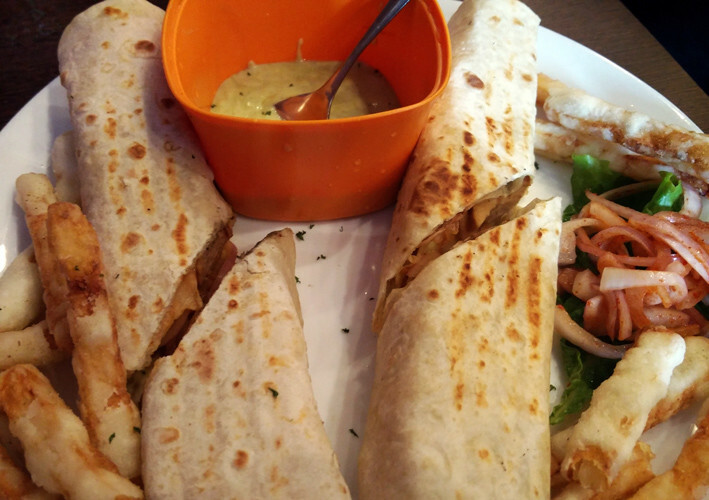 Next up was the Chicken Seekh Wrap which was served with in-house fries and dip. The wrap was in a tortilla and not the usual roti or parantha wrap, filled with a rainbow of veggies and seekh kabab of course; the light and delicate flavours of this dish got a total thumbs up from us! As far as the fries were concerned, they were pretty decent as well, accompanied with a creamy green chutney. Our next pick from the starters menu was the golden fried baby corn and all those who love their crunchy starters should try this. 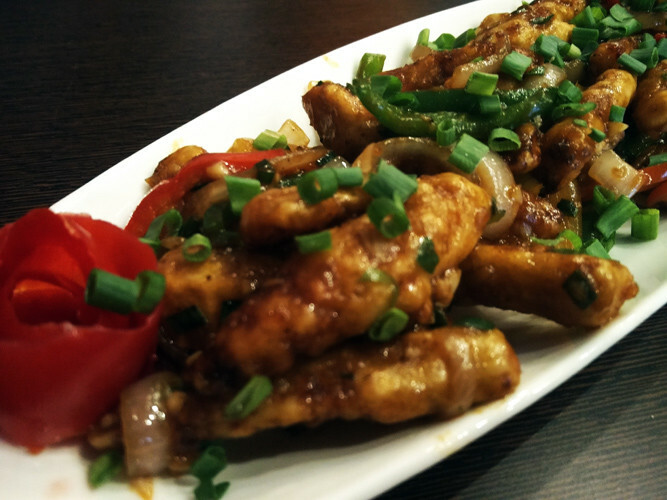 It consisted of crispy and mildly spiced deep fried baby corn, cooked with bell peppers, onion and soy sauce! A must try when here. 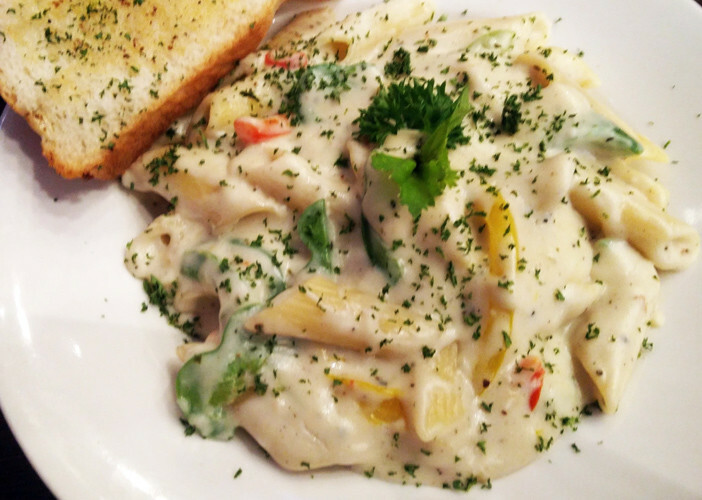 White sauce pasta with a hint of vodka; this is a pleasing looking pasta with lots of veggies, done in a creamy white sauce and served with crispy and fragrant garlic bread! With the very first bite, we fell in love with the dish and finished it in no time! We ordered ourselves the Brownie Shake, X On The Beach and Sunny Fiz. Out of the shake and the two mocktails that we tried, we really liked X On The Beach; it had a sweet and fruity strawberry flavour to it, quite similar to strawberry jellies. 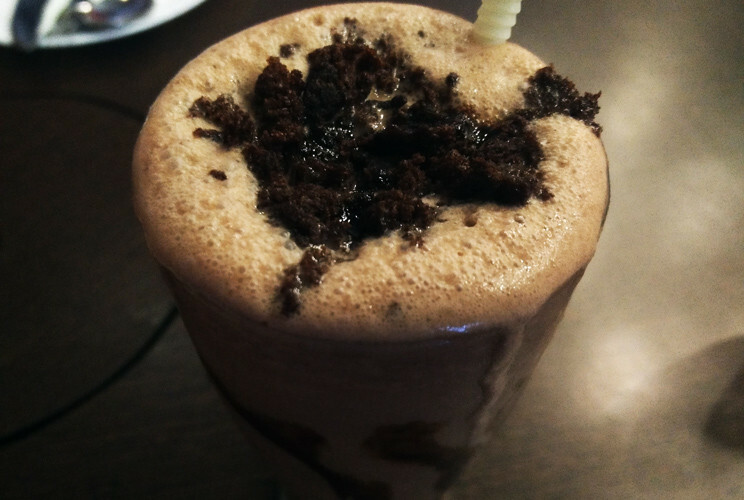 The thick Brownie Shake was killer as well, chocolaty with chunks of brownies in it! For dessert, we gobbled up the warm gooey brownie with vanilla ice cream, now how can somebody go wrong with that?! This was the perfect sweet ending to our meal here with fudgy brownies, nuts and chocolate syrup; a simple dessert that never fails to impress us! So now that you know where we're headed for our food and sheesha cravings, see you there too!